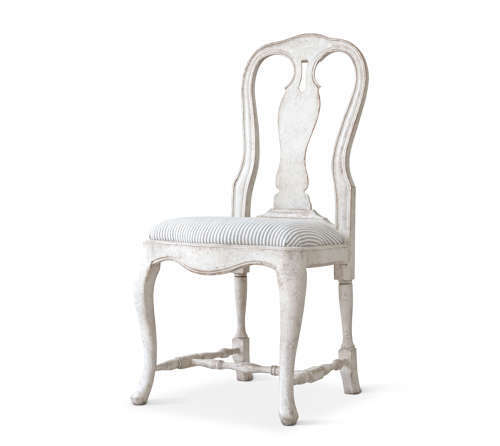 Our exquisite 'Saga' dining chair is hand carved in solid birch and is a historically accurate rendition of an original 18th century Swedish Rococo side chair with a wonderful curvaceous frame and cabriole legs. Available in a range of authentic Swedish hand painted antique patinas. Upholster in a fabric of your choice.